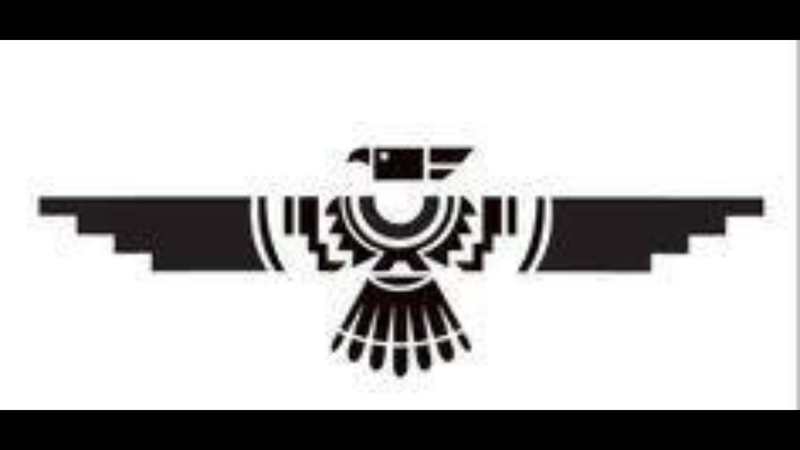 The Thunderbird symbol is one of the most dominant icons in Native American Indian culture and art. Descriptions of the thunderbird are found on totems, pottery, cave art, and in the ancient legends and myths of Native Americans. 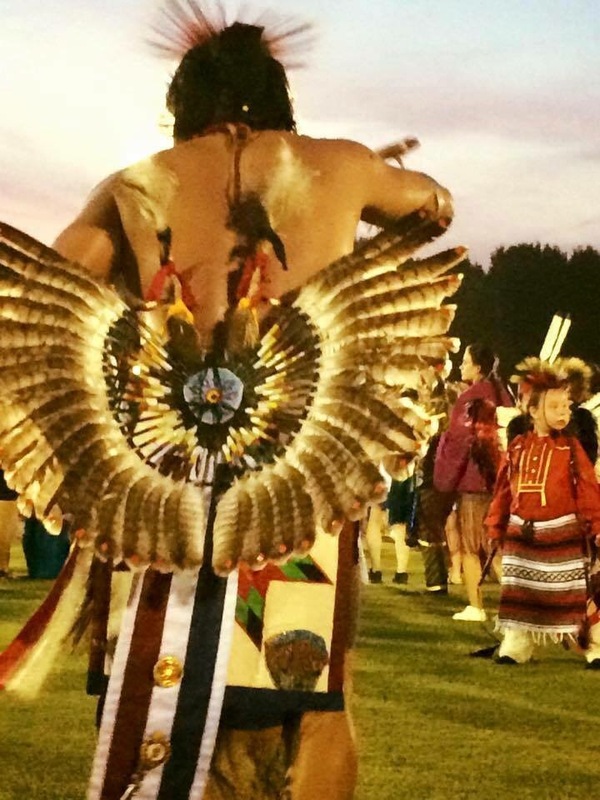 It is believed among the Lakota Sioux that if you had a dream or vision of birds you were destined to be a Medicine Man but if you had a vision of the Thunderbird, it was your destiny to become a sacred clown. 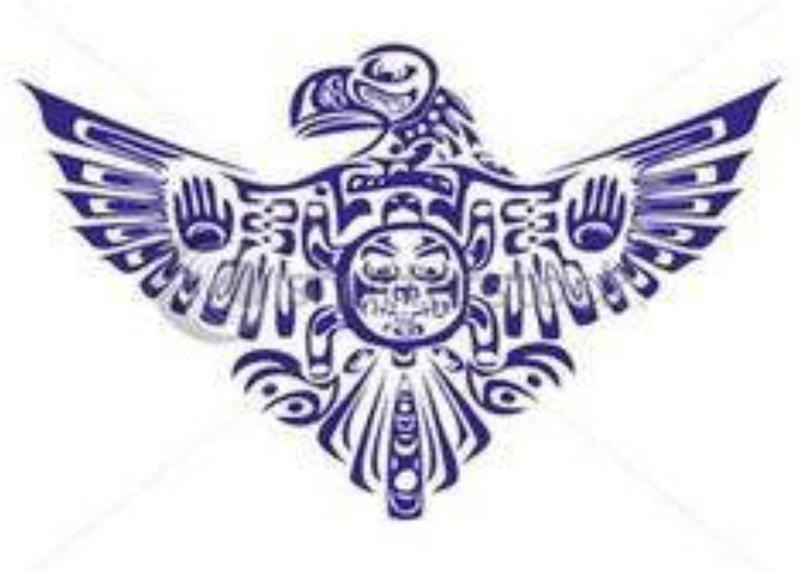 The Thunderbird symbol is depicted in many ways and often features in pictograms. The thunderbird is the symbol of thunder, lightening and storms which are created when the thunderbird flies. The thunderbird is depicted as a large raptor like bird usually with curling horns, long legs, a long beak and a featherless head. Sheet lightning is believed to flash from its eyes when it blinks, and individual lightning bolts made by the glowing snakes or serpents that follows it. The thunderbird is depicted in masks as many-colored, with two curling horns and teeth within its beak. 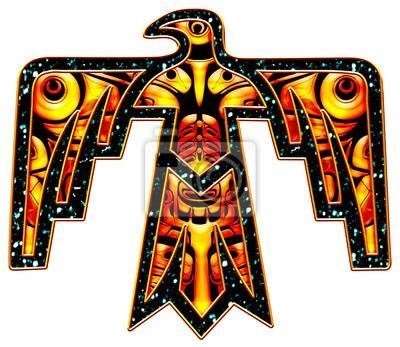 The legend and symbol of the thunderbird may have originated from the myths and legends relating to large species of North American birds such as the Great Blue Heron, the Golden Eagle and the Pelican. The Thunderbird symbol and icon can be compared to other legendary bird monsters such in the Piasa Bird symbol and the mythical Raptor symbols. Posted on October 8, 2015, in Uncategorized and tagged Actress: Can’t Buy Me Love. A life coach, and personal empowerment expert, business consultant, Dr. Lisa Christiansen, health and wellness, Life Coach, Lisa Christiansen, Lisa Christine Christiansen, motivational speaker, self empowerment, success coach. Bookmark the permalink. Leave a comment.